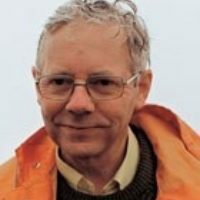 David Pedgley OBE BSc is a meteorologist now retired from the Natural Resources Institute, University of Greenwich, where he undertook research on windborne movement of insect pests to help improve crop yields in developing countries. He was formerly a weather observer, forecaster and instructor in the Meteorological Office; and he was also a Vice-President of the Royal Meteorological Society, editor of the Society's monthly popular magazine Weather and a founder of the Saturday discussion meetings for amateur meteorologists. A hillwalker for many years, he started the Society's field courses on mountain weather. Lecturer and author, he is married with four children.